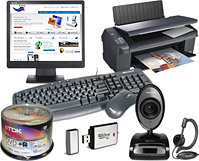 For business customers we are able to provide sophisticated server equipment to provide your business with the best computer equipment to run and streamline your business. We are able to design and build your server upon your specification and give advice on what will best serve your needs. Arron Services recommends the Affordable, Solution offered by Microsoft; we are able to setup in combination Windows Server 2012 / 2016 and Microsoft Exchange Server 2013 / 2016 Products, which replaces Windows Small Business Server 2011. This solution will offer Windows Server which is designed to more efficiently handle corporate networking, Internet/intranet hosting, databases, user / file security and similar functions. Exchange Server has been designed specifically to meet the challenges and address the needs of Small Businesses and integrate the best features of a messaging system into one package. A small sample of features are as follows; accessing your e-mail on any PC in the world that has an internet connection, or actively synchronising your smart phone with your e-mail while on the go, or having a calendar shared between multiple staff members to keep staff informed of company events. 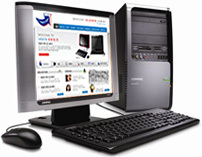 Server installation also includes installation of automated backup solutions. We are able to provide the best solution to encompass the backup of all your precious data and have it stored off site. With server installations we also provide an Un-Interrupted Power Supply (UPS). A UPS allows the Server to stay live in a power cut and, give time for the Server to shut down correctly. We are able to integrate a new server into your current environment or provide a new installation. We are also able to provide support contracts for your new server & workstations if you so request. Here at Arron Services we'll build your server to your specification so that it fits your needs as closely as possible. We recommend Windows Server 2012 / 2016 and Microsoft Exchange Server 2013 / 2016 Products, which replaces Windows Small Business Server 2011.We can either integrate a new server into your environment or provide a whole new installation.